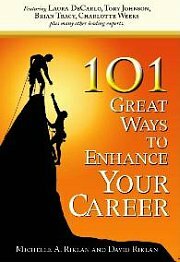 Setting and achieving goals is an important component of attaining career success. No one can claim to have career success unless you have a set of goals that you have set out to achieve and a plan to attain it. Working that plan is also an important component. Many newbies pursuing career success make the mistake of thinking that performance goals is the duty of the manager. This is not true. As an employee, it is also your duty to set goals for yourself. You may not be familiar with it initially but eventually you will get a hang of it. When setting and achieving goals - ensure that your goals are meaningful and motivating. Setting performance goal is a two-way street. You need to do with your manager. You start by thinking and writing down three to five key objectives you want to achieve. Then sit with your manager to discuss these. However, with that said - once you are done setting, achieving the goals is your responsibility. As beginners, this is the most common and easiest format used for setting and achieving goals. Goals should be SMART. Good performance goals are specific. The common mistake in setting specific goals is stating an outcome rather than specific achievement in order to produce that outcome. For example, stating, “Become a better sales person in 200X” is an outcome. What is needed is specific achievements that result in someone becoming a better salesperson. In the process of setting and achieving goals, the first step is to make sure the goals are specific. Some career newbies find this difficult to do. After all, not all good goals are measurable. But based on experience, majority of good performance goals will have measurable results. Think hard about this. Sometimes it is a matter of looking at it from a different angle. Think about the goal’s intention. That may help you craft it differently. Goals that are challenging yet achievable builds self-esteem and hence confidence. That can result in more responsibilities and rewards. Some people are of the opinion that goals should be impossible to achieve. Yet others make the mistake of making it easily achievable. These goals are not good as they aren’t very motivating for you and your manager. Be courageous enough to set realistic challenging goals that you alone or with the cooperation of colleagues can achieve. Remember, it is about setting and achieving goals. Not setting alone. When setting goals remember you want to deliver the results towards the organizations objectives. Hence, the goals must be results oriented. Common mistakes here are taking activities as results. For example, increasing call cycle for a particular sales person is an activity. Increasing sales is a result. Give a time to when your meaningful and motivating goals will be achieved. As a career newbie pursuing success, if your manager resists doing performance evaluation or appraisal, you should insist upon it. While the manager may not play the sole role, setting and achieving goals does involve the manager. Their guidance is needed for you to be successful. Personal Goal Setting - What Are The Areas You Can Start Setting Goals? What Is Needed In Setting And Achieving Goals At Entry Level? Many newbies pursuing career success make the mistake of thinking that performance goals is the duty of the manager. This is not true. As an employee, it is also your duty to set goals for yourself.